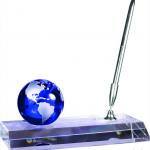 This beautiful desk easel features a blue globe and a silver pen mounted a clear crystal base. 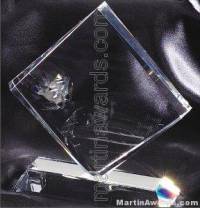 Accent any desk with this contemporary style Name plate holder. Globe is permanently mounted. 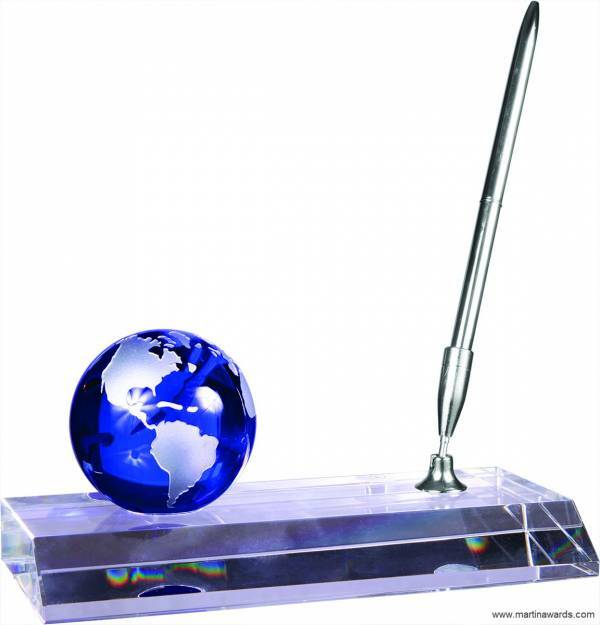 Pen easily mounts. 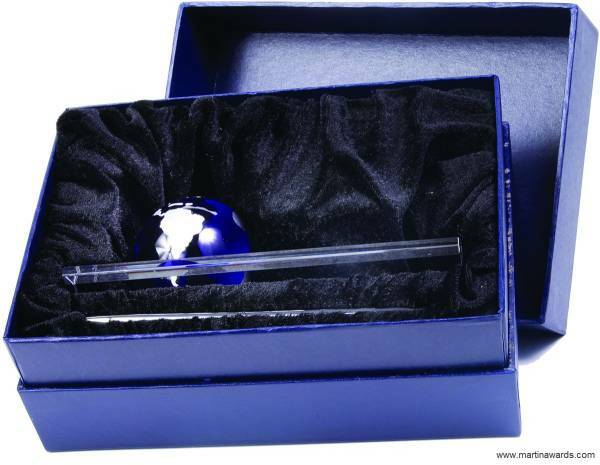 Personalize it with your company logo and name. 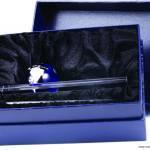 All Premier Crystal comes packaged in a lined gift box.